As a real estate specialist in the Lake Tahoe market, I am often asked, “What’s fun to do around here in the summer?” I love our area, and our market – it’s fun, eclectic, and there is always something going on. While I normally keep tabs on some of our local links to stay current on the fun and sun, I thought this month I’d head over to Trip Advisor to see what they had to say about our amazing area! What I found surprised me! I found a photography tour of our local beaches -- how cool is that? 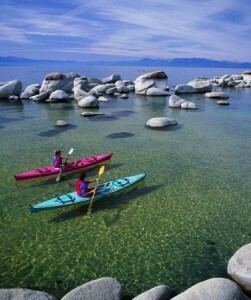 There’s also a bus tour around Lake Tahoe complete with a stop at Emerald Bay State Park and Sand Harbor. Some wonderful hiking excursions that take in the majesty of our gorgeous mountains and waterfalls in Half Moon Lake, Echo Lakes, and Rainbow Trail. There are state parks and incredible beaches, boat tours and casinos. It’s funny how you can live somewhere for so long and still be surprised at new adventures that await. If you’re in the market for some fun in our fair area–head to TripAdvisor for their top picks for fun here. If you’re in the market to make the most of our current real estate, I invite you to give me a call. Interest rates are on the rise, so now is the time to get the best deal on local properties at reasonable rates. Contact me today!